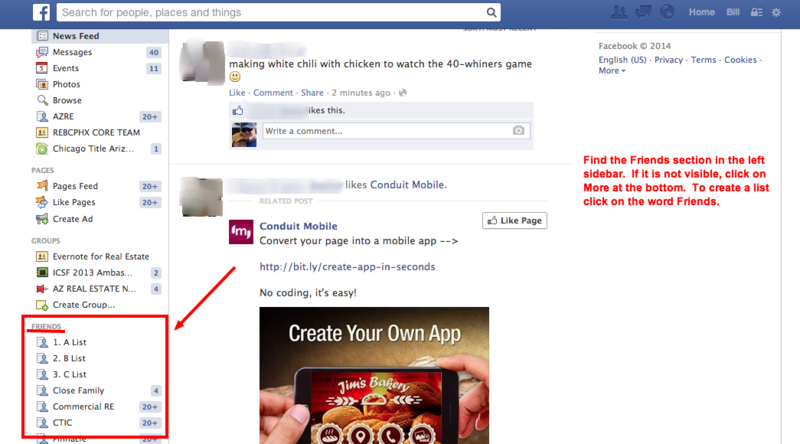 The answer is yes, and Facebook custom friend lists are the answer to customizing the news feed. 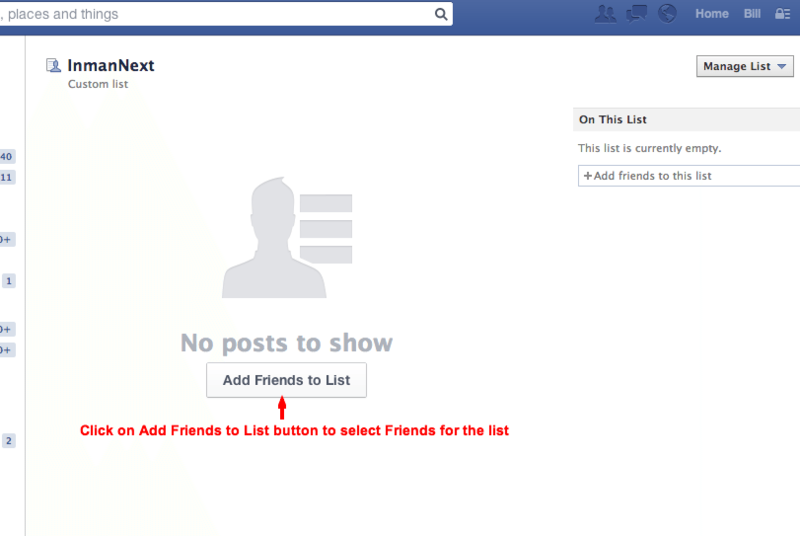 Friend lists allow users to filter the incoming noise and target outgoing messages on Facebook. The other benefit is the ability to save time. Instead of searching out profiles of important clients or prospects, they are simply a click away. This becomes even more important as Facebook keeps changing the way posts from friends appear in the news feed. Another benefit of custom friend lists is targeting posts. Why send every update to every friend? With custom lists, updates can be directed to the list or lists that the update is relevant for. 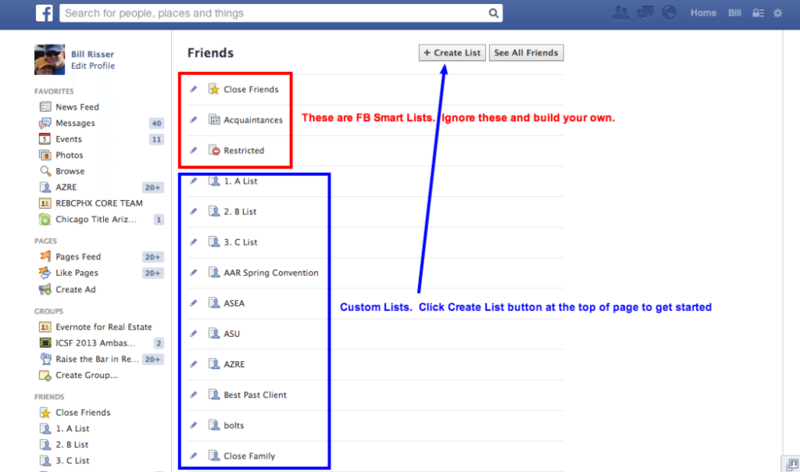 This is important for Facebook users concerned about mixing business and personal updates. Want to post photos of the kids only to your family on Facebook? Create a family list. Want to post an update about a particular neighborhood to those who live there? Create a neighborhood list. Like anything worth doing, creating lists requires some work. Users with more than 300 or so friends will spend a few hours getting the lists set up. Once completed, they are easy to maintain and use. Locate the Friends list link in the left sidebar. Create a set of business lists and personal lists. Business lists should include clients (perhaps three client lists based on referrals), prospects, colleagues, affiliates, etc. Personal lists should include close family, weird family (we all have them), neighborhood, school, church, etc. Add friends to the list or lists they belong to. A friend can be on more than one list. Set a schedule so the important business lists are scanned regularly. I suggest daily. Remember, Facebook should work the way we want it to. 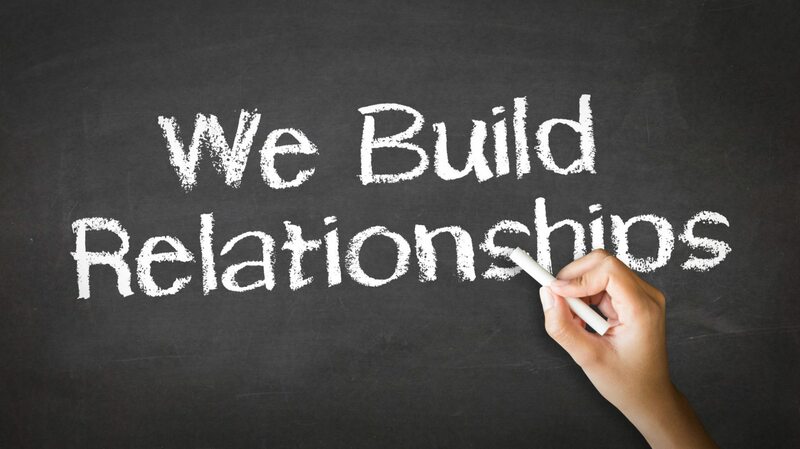 We want it to help build and maintain relationships. 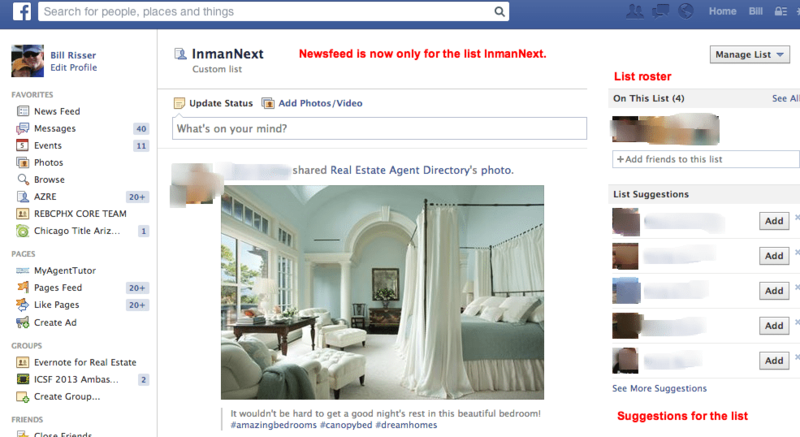 With custom friend lists, we can filter the noise of the news feed and target the audience of updates. Let’s take control of Facebook. Let’s be effective and efficient. Bill Risser is the vice president of new media and education for Chicago Title Agency in Arizona.